Volunteers tend to the silent auction table at left, kids pick up their egg cartons full of free rocks, and visitors browse the many available items at the annual River Valley Rockhounds show in 2018 in this image made from multiple photos. Mark Wells picks out one of the ouro verde quartz pieces he was selling at his booth at the River Valley Rockhounds annual show in 2018. 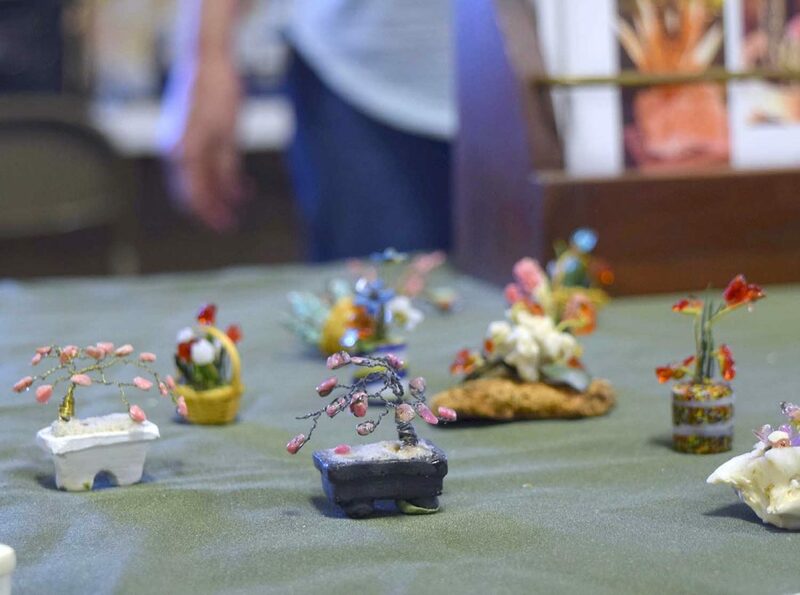 Not just big ones — the late Hugh Carroll also made these tiny, miniature trees and flowers out of wire and precious stones. His daughter Susan Schlerman was selling bigger and smaller items at the River Valley Rockhounds show in 2018 which was dedicated to Carroll. Paul Stults, of Iowa River Apparel, looks over an ancient ax head found by Jim Wilke, of Fort Dodge. The stone piece has a groove around 3/4 of the sides, and could be 3,000 years old or more, Stults said. He believed it had been a ceremonial piece that never saw hard use. 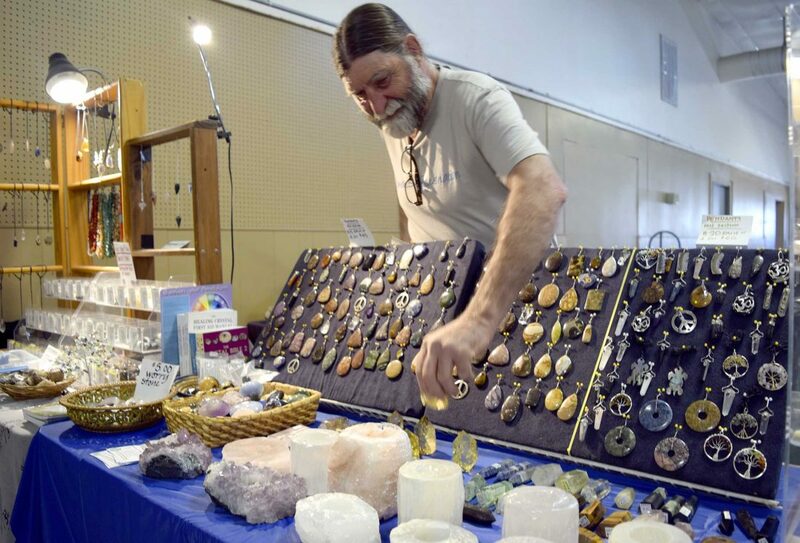 For fans of fun with fossils, glee with gems, madness about minerals, and joy about jewelry, the annual River Valley Rockhounds Gem, Mineral, Jewelry and Fossil Show is just around the bend at the next fossil bed. The show is scheduled for March 30 and 31 at the Webster County Fairgrounds. 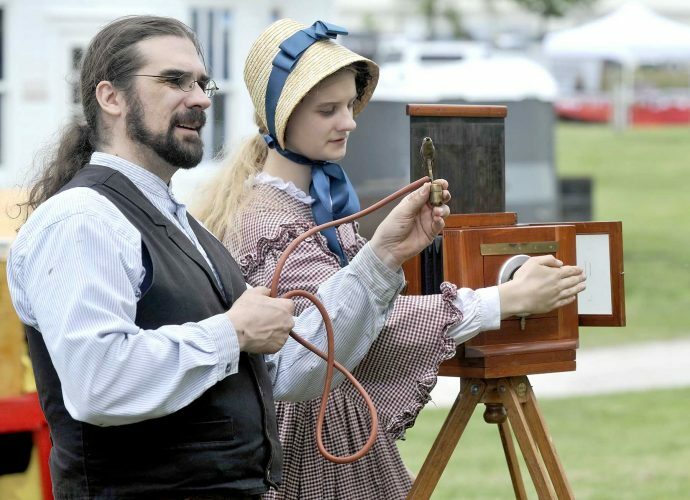 Hours are Saturday 9 a.m. to 5 p.m. and Sunday 11 a.m. to 4 p.m.
Robert Wolf, president of the River Valley Rockhounds, said that one of the highlights of this year’s show is a display by club member Steve Mayberry. “Mayberry will be displaying four poster boards with detailed explanations of four types of rocks and agates with actual samples of each,” Wolf said. Those include Turritella agate, Dugway geodes, Blue Forest petrified wood and Australian Tiger Iron. “It should display well and be a nice feature of the show,” Wolf said. Mayberry has a long-time interest in rocks, fossils and minerals. He’s happy to be sharing his specimens and knowledge with the club members and the public. 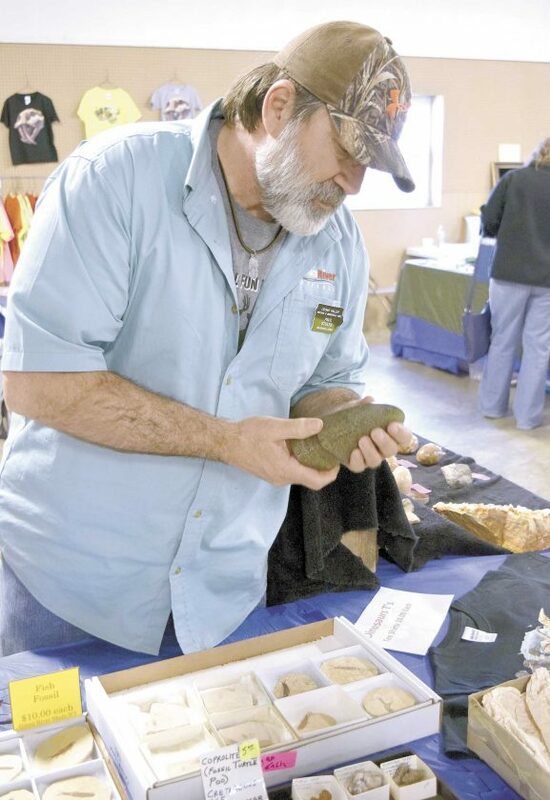 “The club rock show is an ideal venue to share my treasures and pass on materials to other rockhounds,” Mayberry said. Club member Gavin Simmons is preparing a display for the show too; his will feature minerals and rocks that glow when exposed to ultraviolet light. Wolf will also have a display at the show. The ancient creatures are no longer with us. “Trilobites became extinct about 230 million years ago,” he said. Wolf found them at a site called Frenchman Mountain outside of Las Vegas. He said the mountain exposes the same layer of rock that is seen at the bottom of the Grand Canyon. Admission to the show is $1 for adults, free for children under 12. In addition to the displays, there will also be multiple vendors, door prizes and a few surprise attractions. The traditional free rock specimens for children is also back this year. The River Valley Rockhounds was formed in 1962. The Webster County Fairgrounds is located at 22770 Old U.S. Highway 169.